As a high senior at Creighton Prep in Omaha, Nebraska, Easton Stick grabbed the attention of a variety football programs across the Midwest. Akron, Rutgers, South Dakota State, South Dakota and Northern Colorado rose to the top of the group of potential suitors for one of the top dual-threat quarterbacks in the region. The allure of unparalleled success offered by North Dakota State was too much for Stick to pass up. 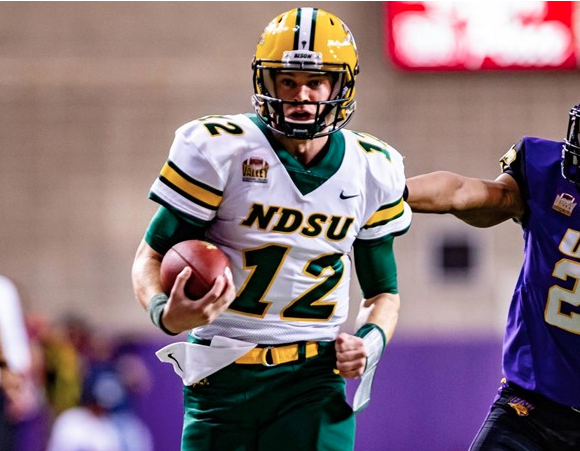 No matter that NDSU had Brock Jensen in his final season as a starter or an heir apparent in future NFL franchise quarterback in Carson Wentz waiting in the wings. In the fall of 2013, Craig Bohl led the Bison to an undefeated 15-0 mark capped by a dominant 35-7 victory over Towson in the national title game. The Bison were on top of the small-school college football world, winners of three straight FCS national titles just a decade after moving to Division I and in just their sixth season competing in the Missouri Valley Football Conference. Stick wanted to be a part of that success. When he signed with North Dakota State in February of 2014, he knew he would have a year to develop with Wentz entering his junior season. 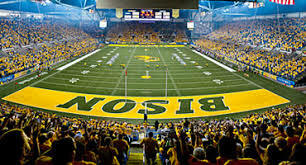 Although Bohl left to become the head coach at Wyoming following his best season in 11 years as the head coach in Fargo, the program seemed secure both because of Wentz’s prodigious talent and the smooth promotion of defensive coordinator Chris Klieman to head coach. The Bison kept winning. NDSU kicked off what would become a 14-1 season with an eye-opening 34-14 win over FBS Iowa State in the first start of Wentz’s career and the first game of Klieman’s head coaching tenure. The Bison ended that season by squeaking out a 29-27 win over Missouri Valley rival Illinois State in the title game for a fourth straight national championship, topping the previous I-AA dynasties like Georgia Southern, Youngstown State and Appalachian State. Georgia Southern won consecutive titles three times: in 1985 and 1986, in 1989 and 1990 and in 1999 and 2000. Youngstown State claimed national titles in 1991, 1993, 1994 and 1997. Appalachian State became the first team to win three straight national championships between 2005 and 2007. As Stick entered his redshirt freshman season in 2015, the Bison were the overwhelming favorites once again. Wentz was a senior, the Bison had lost three games in four years and the machine appeared unstoppable. North Dakota State lost that Saturday 38-35 in the smoke-filled Missoula Valley thanks to a last-second touchdown by UM running back Joey Counts. The Bison had one more misstep — a second loss served as an unprecedented moment when NDSU fell 24-21 in the Fargodome to South Dakota in mid-October in a game Wentz suffered a broken wrist — but NDSU still kept surging. Stick led North Dakota State to eight straight victories down the stretch, including a 37-6 win over Montana in the second round of the playoffs, to reach the FCS title game. 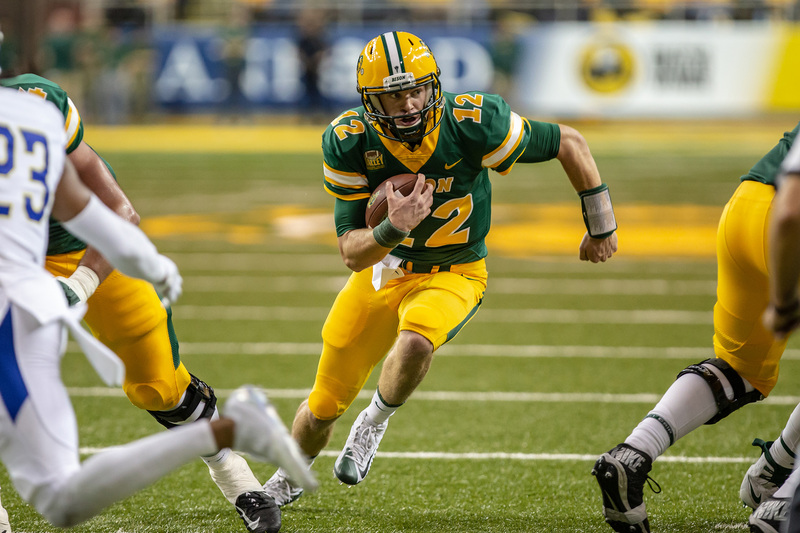 Wentz returned in Frisco, Texas, helping NDSU cap its fifth straight national title run with a resounding 37-10 victory over top-seeded Jacksonville State to claim an unheard of fifth straight national title. Wentz earned Most Outstanding Player honors in the championship game. The fact that North Dakota State ensured no one else in the FCS could touch a piece of the prize even with one of the most talented small-school quarterbacks in college football history only playing in seven games solidified for Stick how much bigger the NDSU program is than any specific individual. Tim Walsh became a head coach for the first time at Sonoma State in 1989. He has spent 28 of the last 31 seasons leading college football programs. From his 11 seasons at Portland State to now his recently-completed 10th season at Cal Poly, Walsh’s teams have always been known for being tough-minded. 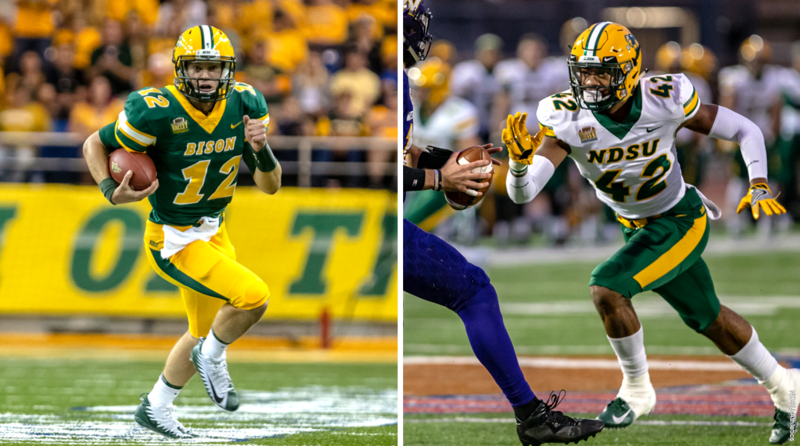 Following Cal Poly’s 49-3 loss at NDSU earlier this season, Walsh left Fargo with two distinct impressions about the Bison: North Dakota State’s physicality is startling and the operation of an organization sharply focused on the same vision is apparent. “North Dakota State, in my opinion is an upper level Mountain West team,” said Walsh, who watched his triple option offense that would go on to rush for 330 yards per game in 2018 manage just 82 yards on 52 carries (1.6 yards per carry). “They could compete with the Boise State’s of the world. That’s how good they are. “The analogy of Alabama is probably fair to say over the last seven or eight years. They are that good on defense and their offensive line is enormous and those two running backs (Bruce Anderson, Lance Dunn), wow. 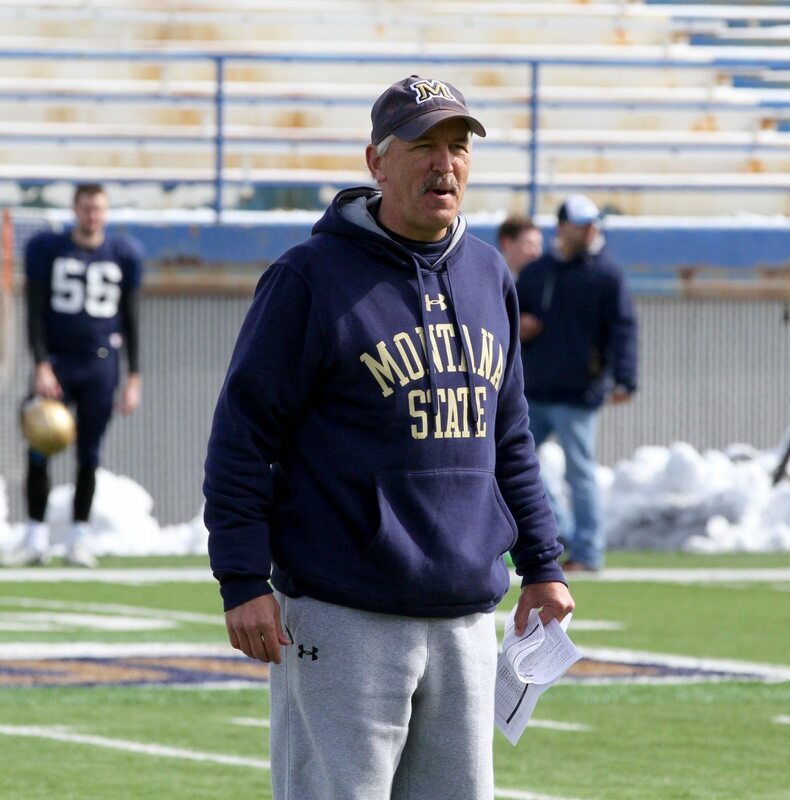 Courtney Messingham spent more than a decade as an offensive coordinator and assistant in the FBS before serving as Montana State’s offensive coordinator in 2016. In 2017, he reunited with Klieman, a childhood friend and college teammate at Northern Iowa, joining the NDSU staff as the Bison OC. 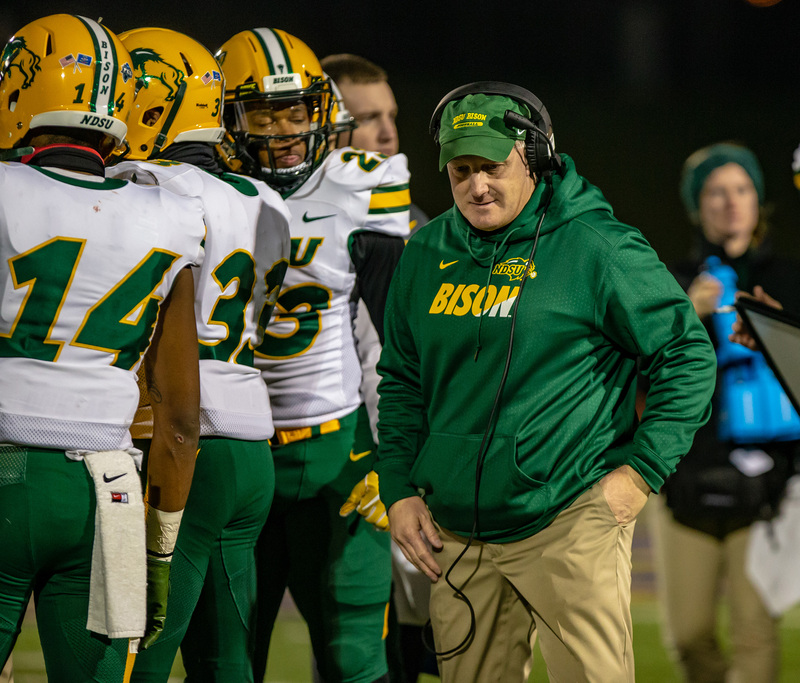 During his first spring football practice a few months later, Messingham could not believe the level of focus and discipline amongst the Bison players. “These guys hold each other to an incredibly high standard and they make each other accountable to each other,” Messingham said. “That’s the biggest thing I see that is different than most places I’ve been. The coaches coach but the players, the older players, they do a great job of coaching, holding each other accountable and setting the standard. That level of accountability has set a peerless expectation for excellence. North Dakota State moved up from Division II — the Bison won eight D-II national titles — to Division I in 2004. In 2008, NDSU joined the Missouri Valley Football Conference. In 2010, North Dakota State rallied from a 17-14 deficit late in the third quarter to run away with a 42-17 win at Montana State in the FCS playoffs for the first of what is now 28 postseason wins in 30 postseason games. The following week, NDSU lost in overtime 38-31 to Eastern Washington, the eventual national champion that year. In 2011, the Bison surged to its first national championship. NDSU has been at or near the top of the rankings and at the top of the podium almost exclusively since. Entering Saturday’s second round playoff game against Montana State in Fargo on Saturday, the Bison have won 108 of their last 116 games. NDSU’s only playoff loss in the Fargodome came to James Madison in the semifinals of the playoffs in 2016. NDSU is gunning for a ninth straight appearance in the semifinals of the tournament. The team recently claimed its eighth straight Missouri Valley Football Conference title by going undefeated during the regular season for the second time this decade and the first under Klieman. The Bison are 151-24 at the Fargodome since the raucous indoor venue opened in 1993, including 21-1 in the playoffs. “Now we turn our attention to the standard bearer for all of college football, not just the FCS,” MSU third-year head coach Jeff Choate said on Monday. “When you look at the success they have had, nobody can really match what they’ve done over the last decade. And you include Alabama in that. Ty Gregorak was an assistant at Montana during a run that saw the Grizzlies win 119 games between 2000 and 2009, the most ever by any Division I college program in a single decade, FBS or FCS. North Dakota State has 117 wins since the beginning of the 2010s and, barring some unpredictable disaster, will certainly dwarf UM’s record-setting decade by the end of next season. 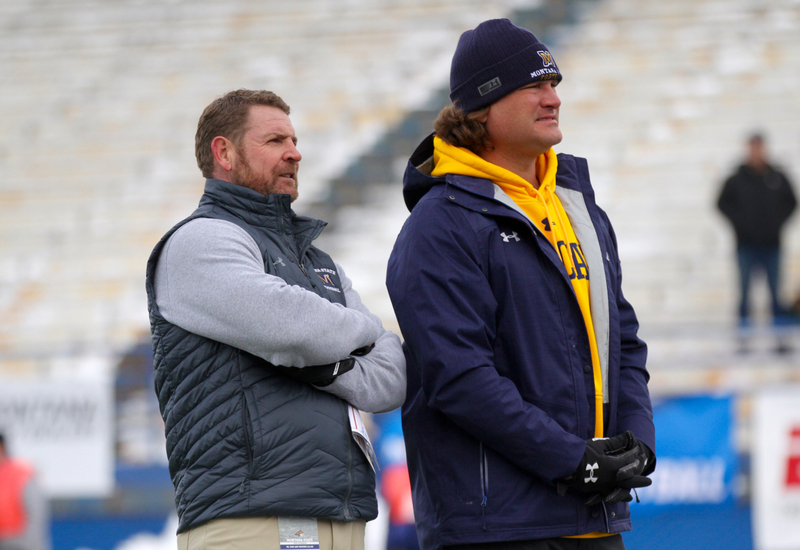 Gregorak coached linebackers under former and current Griz head coach Bobby Hauck from 2003 until 2009. UM went 80-17 during that span, including going 31-1 against Big Sky Conference competition between 2006 and 2009. Gregorak has served as Choate’s defensive coordinator the past three seasons. When he watched the Bison play, he sees a team with a similar if not superior sense of belief in each other as the teams he coached at Montana, winners of the FCS national title in 1995 and 2001 and runner-up in the tournament in 1996, 2000, 2004, 2008 and 2009. Whether NDSU wins through perseverance and toughness, like in a 21-17 triumph over rival South Dakota State in September — the ‘Jacks handed the Bison their only regular-season loss of 2016 and its only loss last season, period — or in dominant fashion like in the 65-17 win over Southern Illinois to cap the regular season, the gravitas attached the program preceded the Bison. 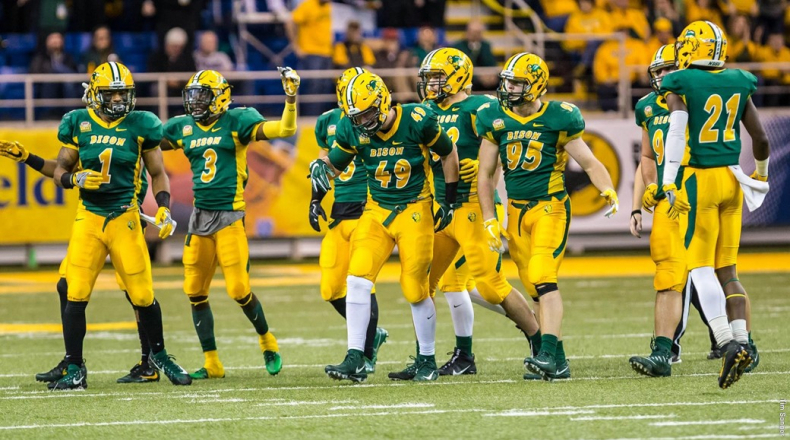 Intimidation is a real factor as each team each week has to hear all the outside noise about NDSU’s relentless march back to the summit of the FCS year after year. Montana State’s players are doing their best to ignore that noise and instead embrace the biggest challenge of the season and perhaps of their college football careers. The era of Division I dominance is new at NDSU. But the expectation of excellence has been around for more than half a century. Darrell Mudra, NDSU’s head coach from 1963 until 1965, led the Bison to an undefeated season capped by a victory in the Pecan Bowl in his final season, giving NDSU its first national championship. The Bison claimed the fifth North Central Conference title in program history that year, the first of six straight NCC titles. Ron Erhardt led NDSU to consecutive D-II titles in 1968 and 1969, beating Montana in the Camellia Bowl to cap the second title. Between 1964 and 1994, NDSU won 23 NCC championships. Don Morton led the Bison to the 1983 national championship and Earle Solmonson guided North Dakota State back-to-back national titles in 1985 and 1986 before taking over at Montana State in 1987. Rocky Hager coached NDSU to its last two D-II crowns in 1988 and 1990. All told, NDSU posted a 347-94-4 record while competing in Division II between 1964 and 2003. Klieman and Messingham played for Mudra at Northern Iowa in the late 1980s and each remembers the stories of his days in east North Dakota. That sense of history is something the NDSU coaches still try to engrain in their players. When Klieman first took the reigns from Bohl before the 2014 season, he knew he was inheriting a well-oiled machine but one that came with expectations unlike any other in the country. Klieman remembers Jensen, the FCS all-time leader in quarterback wins with 48 (three more than Stick) passing down the symbolic leadership role to defensive end Kyle Emmanuel, now with the Los Angeles Chargers. Emmanuel passed along the weight of being the standard bearer to Wentz, who then passed it on to Stick, Klieman said. The NDSU roster features 24 seniors, the most for the Bison since Bohl’s last season. Safety Robbie Grimsley , a three-time All-American selection, will make his 51st straight start on Saturday. All-American defensive end Greg Menard will begin his last playoff run. Running backs Bruce Anderson and Lance Dunn, a pair of seniors who have split carries and both been banged up this season, will each try to finish their careers in style. If the Bison can once again run the table, it might be the most special finish of them all, an undefeated campaign led by the first group of players playing their entire careers under Klieman. If Stick is to break Jensen’s wins record, it will come with a victory in the national title game in January. And if North Dakota State can march to its 15th national title in school history, NDSU’s achievement will allow the Bison to stay a notch above the FCS landscape for yet another year. Photos by NDSU athletics and Brooks Nuanez. All Rights Reserved.